I gather that as from today you are already 500 people following my journey through the European agriculture. I want you to know that I feel your wish for interaction, I enjoy your presence here and it helps me tremendously to remain human, accessible and down-to-earth. Thank you. I may add to these beautiful words that one should interpret this message as an involuntary but direct attack to Commissioner Reding and her cabinet who are actively working against the European Commission from entering into 21st century communication - disguised as bureaucratic newspeak in the form of a "solid cost-benefit analysis" and a "coherent communication strategy". These are the inhuman words from the technocratic ages of controlled communication and closed-up public institutions. As if one could simply measure "cost-benefit" of openness and transparency, reaching out to the public and communicating more humanely or as if the idea of social media wasn't the exact opposite of what were "coherent communication strategies" in the last century where journalists and big media dominated the intermediation between public institutions, citizens and other stakeholders. 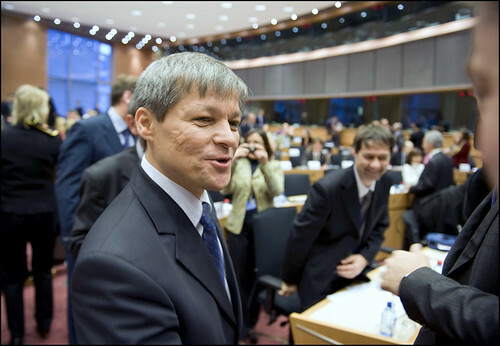 If the Commission was intelligent, it would see that people like Ciolos and so many other human voices from the Commission are not a threat to good communication but the greatest opportunity of opening up a bureaucratic organisation to the public, a public that the organisation is supposed to serve. Ms Reding, do you hear that? I bet you don't, because it would mean you cared about it!